Formwork is a structure, usually temporary, used to contain poured concrete and to mould it to the required dimensions and support until it is able to support itself. It consists primarily of the face contact material and the bearers that directly support the face contact material. 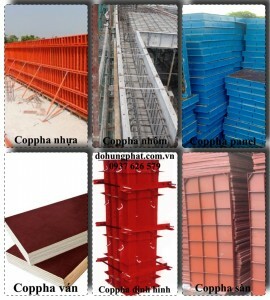 The modern formwork systems listed above are mostly modular, which are designed for speed and efficiency. They are designed to provide increased accuracy and minimize waste in construction and most have enhanced health and safety features built-in. Bài tiếp theoCốp pha thép là gì ?